Everyone knows that exercise is great for overall wellness, better health, and a healthy body. Many chiropractors will often recommend regular exercise to their patients who need to lose weight, want better mobility, or are seeking relief from depression. Some chiropractors are turning to Pilates to help their patients get stronger, more flexible, and more mobile. In the early 20th century Joseph Pilates developed the exercise program to help World War I soldiers improve their physical fitness. It was used to rehabilitate patients who had been injured. By incorporating resistance, stretching, and target strengthening exercise, Pilates uses resistance bands, individual machines, and floor work to reshape and rehabilitate the body. Dancers, gymnasts, athletes, and celebrities use Pilates to stay in shape. However, anyone can do it for a healthier, more supple spine. Improve muscle control and movement efficiency through mental focus. Support and improve posture by strengthening the abdominal and back muscles. The benefits of Pilates tremendous, but for chiropractic patients, it is even more so. By regularly incorporating Pilates into your exercise routine, you can enjoy these incredible benefits. You can adapt Pilates to your fitness level and needs. 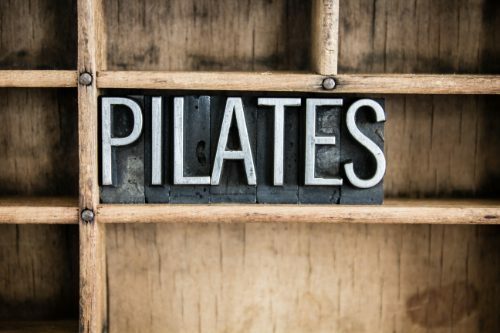 Whether you are just starting a fitness program or you’ve been working out for years, Pilates can be tailored to your fitness needs and level. It helps you strengthen your core. The deep muscles of your abdomen, back, and pelvic floor make up the core muscles of your body. Many of the movements focus on these muscles, making a body that is strong and the frame is supported. Allows you to strengthen your muscles without bulking up. With Pilates your muscles get strong, but it also stretches the muscles so that they are lean and long. You will look toned and tight but not bulky and muscular. It focuses on whole body fitness. Many types of exercise only work certain parts of the body, but this focuses on entire body fitness. It works every part of the body so that the muscle development is balanced. It helps to improve your posture. It strengthens your body and helps to keep your spine in proper alignment due to a strong core. As a result, your posture naturally improves. By incorporating it into your exercise routine, you will find yourself standing taller, stronger, and more graceful. You can become more connected through your mind and body by increased awareness. Pilates engages your mind and increases body awareness. It unites the mind, body, and spirit for complete coordination. Each movement is done with full attention. It improves your flexibility. Pilates is a gentle but powerful exercise that works to safely stretch the muscles, making them longer, and increasing the range of motion in the joints. It can protect you from injuries. By strengthening your body, Pilates can help protect you against injury. It conditions your whole body so that your muscles and strength are balanced. This reduces your risk of injury. You get a natural energy boost. Just like with any exercise, it will give you an energy boost. However, it is increased even more thanks to the focused breathing and increase in circulation stimulating the muscles and spine. It can help you lose weight and attain a lean, long, healthy body. It tones and strengthens the body, and if you do it regularly, it will reshape you. The body is more muscular and more balanced. It also helps you move with more grace and ease. Can Chiropractic Be Used For Pets? El Paso, TX.